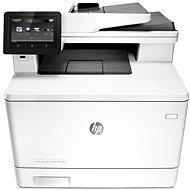 Multifunction printers are now standard in every home and business. 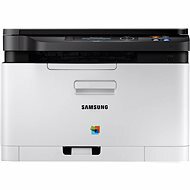 They offer printing, scanning and copying of documents. Some models also offer network functionality and integration with cloud services. 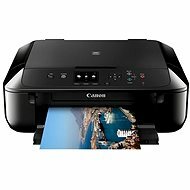 Before buying a printer, you should first consider whether you want an inkjet or a laser printer / LED. Print monochrome and colour text documents, pictures, graphics, or photographs in high quality. 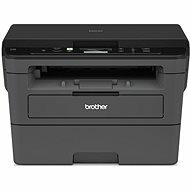 Compared with laser printers, they are usually cheaper to buy but more expensive per printed page due to the higher cost of inkjet cartridges. Inkjet printers also consume more ink, which increases running costs. Suitable for frequent high-volume printing with low operating costs, high speed and high print quality. Monochrome and colour options available. 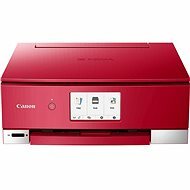 For frequent printing of high-quality photographs, we recommend multifunction inkjets. 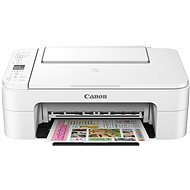 Although photographic paper is available for colour laser printers, inkjets offer higher printing quality. 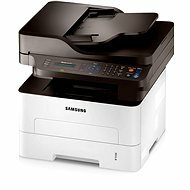 What else should I consider when choosing a printer? With the rise of mobile devices and cloud services, network functions are becoming increasingly important, such as printing via LAN, Wi-Fi, Bluetooth or NFC. 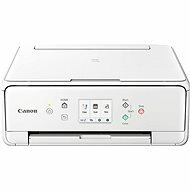 If you want to print from multiple devices, you should select a printer with LAN support, otherwise a printer with a USB port will be fine. The most common type - paper is placed on a glass plate and is scanned by a sensor mechanism underneath. The advantage is that it can scan anything that can be placed on the glass surface - sheets of paper, pages of pamphlets or books, etc. The disadvantage is that each sheet must be scanned separately. 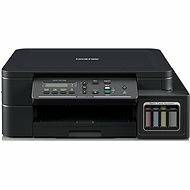 This type of scanner is more common in larger corporate environments than at home. Paper is placed in the tray and is then fed through the feeder to be scanned. The advantage is that you can scan multiple documents in one job. 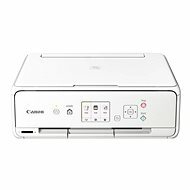 The downside is that most models are limited to a maximum size of A4; due to their design, they cannot scan brochures, books and the like. Measured in DPI (dots per inch - the number of pixels per inch). The higher the number, the better the quality of the scan. 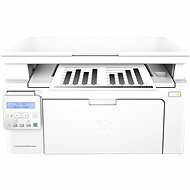 Today's scanners have a resolution of at least 600 dpi, which is sufficient to scan everyday documents. To scan photos, we recommend a DPI of at least 1200, ideally 2400. Some manufacturers supply text-recognition software with the scanner, but none of them are absolutely flawless. 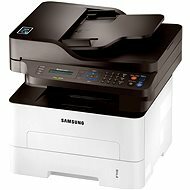 Multifunction printers are scanner, copiers and printers in one. Sometimes they even include a fax machine, making them irreplaceable helpers in the office and at home. 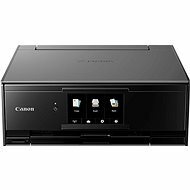 Multifunction printers are divided into two main types: multifunction laser printers and multifunction inkjet printers. 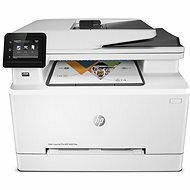 Both types offer many advantages over stand-alone devices – printers with copiers save valuable space as well as financial resources. 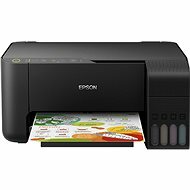 Both types of MFP have their pros and cons, so before you go ahead and buy, you should consider what you will use it for. 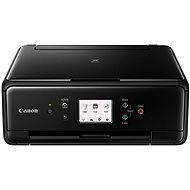 Multifunction inkjets are suitable for printing images and photos. 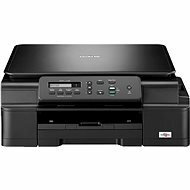 Compared with mulifunction laser printers, they are cheaper to buy, but their operating costs are somewhat higher. However, they offer high-quality pringint both at home or in an professional environment. Multifunction inkjets are also quiet, which will certainly be appreciated in the office. Inkjet printers operate using microscopic drops of ink that are transferred at high speed from the print head to the paper. Some inkjet printers come with a function that allows you to change the volume of these drops, which in turn affects the print quality. 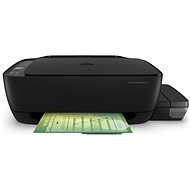 Compared with inkjets, multifunction laser printers are quieter and faster. They are also suitable for office environments, where they work tirelessly to provide printing services to larger groups. 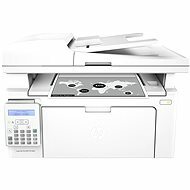 Even at high speeds, multifunction laser printers retain high-quality output at low operating costs. 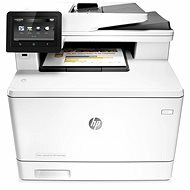 The laser printing method is similar to that of a copier. For monochrome, the printed image or text is scanned using a laser beam on a photosensitive (semiconductor) cylinder, building up a pattern of static electricity. Toner (powder) is then applied to it, which is attracted only to the parts previously illuminated by the laser. A thermal unit then bonds the toner to the paper. This is a very accurate method that yields high-quality printed materials. 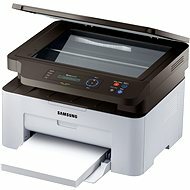 Multifunction printers can be connected to networks via ethernet as well as WiFi. 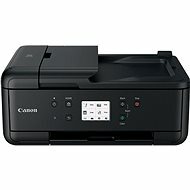 Connection via WiFi or USB enables efficient printing from your mobile device or external memory drive without using a computer. 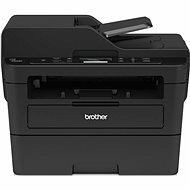 Our wide range of printers includes models from the best manufacturers, including Brother and Xerox .